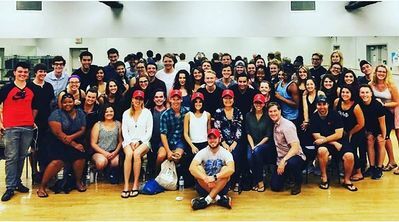 Last night, October 18th, the cast of #CabaretTour along with #RandyHarrison started performing at the Orpheum Theatre in Minneapolis, where the musical is scheduled until October 23rd. We have a picture of Randy with two fans, taken after the show. 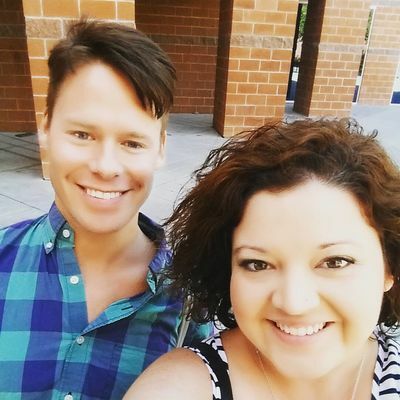 Thank you so much to Lauren for sharing her picture! 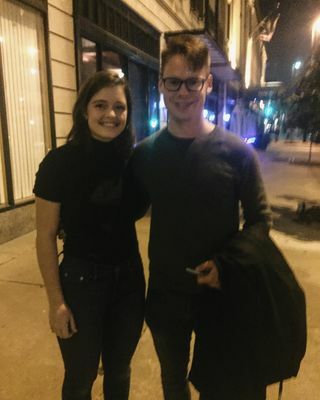 We added to our gallery a picture of #RandyHarrison, taken on October 15th after the show, with Tess who kindly shared it with us! Sorry for the delay in updating about Cabaret! 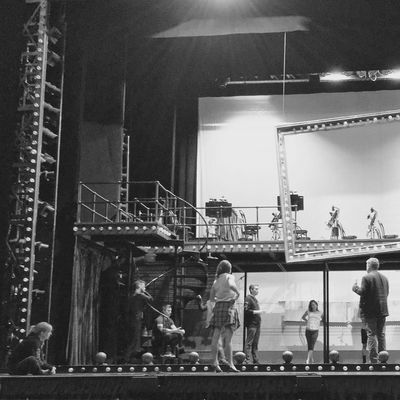 From Omaha, where #CabaretTour was scheduled at the Orpheum Theatre on October 11-16, we have a picture of the cast and Randy while rehearsing on stage, posted by Omaha Performing Arts on their Instagram. And we also have a time-lapse of the cast on stage while doing sound and lighting adjustments ! 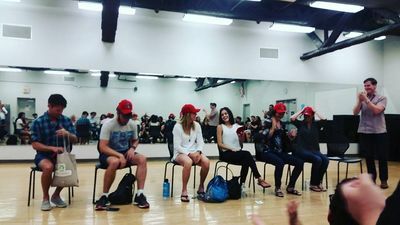 Randy will be performing again with The Skivvies! He will be a special guest in their "holiday show with a twist" at Joe's Pub on December 7th at 9,30 p.m.
Click HERE to have more information and to buy tickets! Randy will turn 39 year-old next November 2nd and we decided to organize a fundraising for a charitable organization to honor his birthday. kind of things, so all your donations will be safe and secure. 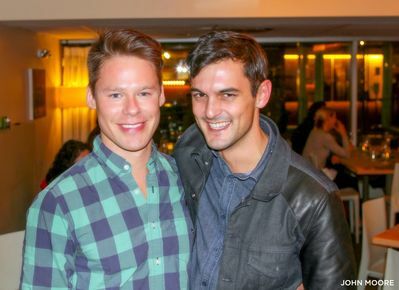 We added to our gallery a picture of #RandyHarrison with fellow actor Wesley Taylor, currently performing as "God" in "An act of God", next scheduled at the Buell Theatre. Denver Center posted the photo on their official Twitter. 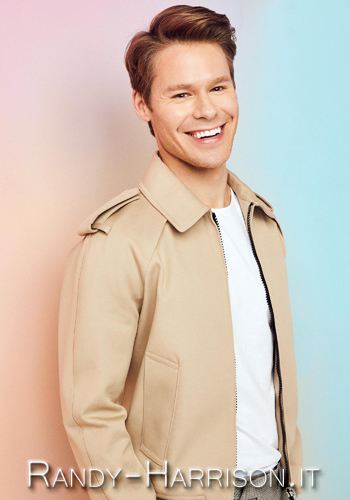 A week ago #RandyHarrison along with the cast of #CabaretTour arrived in Denver and on September 27th started performing at the Buell Theatre , where the musical is scheduled until October 9th. 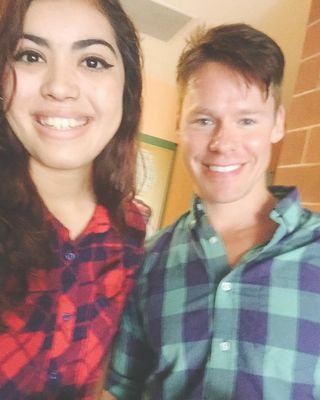 We added to our gallery one more photo of #RandyHarrison with Lena Catalan who took this selfie on Friday after the Q&A session that Randy and some of the cast of Cabaret had with the Theater Majors at the University of Arizona. 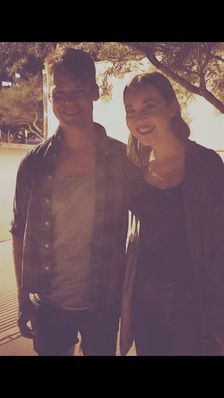 We have three more pictures of #RandyHarrison in Tucson thanks to Kylie Jo who let us post them on our website! The third photo is a selfie that Kylie took with Randy! 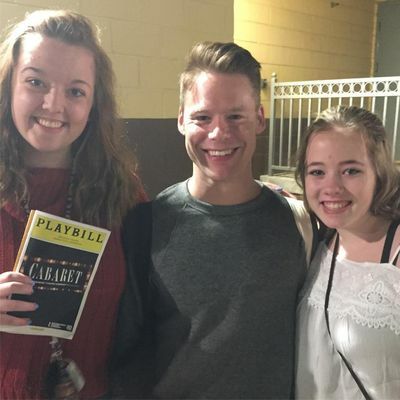 We have a picture of #RandyHarrison after his performance in #CabaretTour in Tucson last night. Thank you very much to Annika Maher who kindly shared it with us!